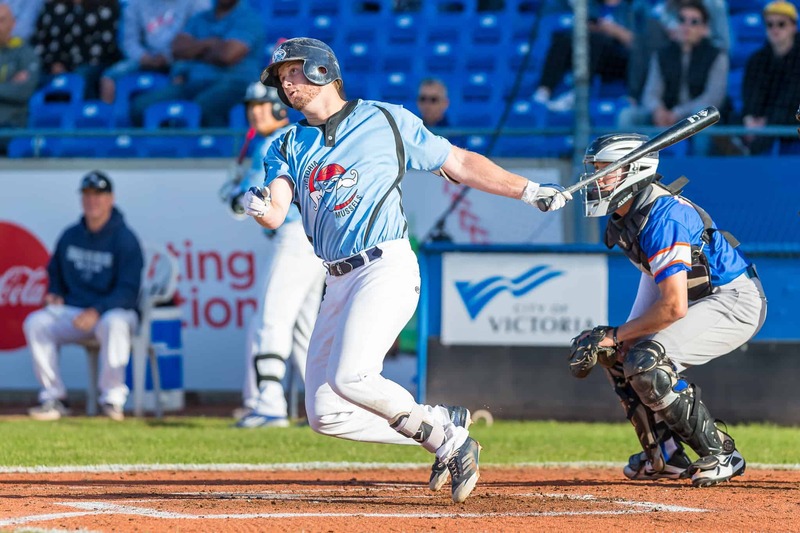 May 30, 2018, Victoria, BC – The Victoria HarbourCats and Port Angeles Lefties christened the new look and new named Wilson’s Group Stadium at Royal Athletic Park, Wednesday night, playing a West Coast League pre-season game won by the Lefties 8-6. Fans enjoying the game from the new Strathcona Hotel Rooftop Party Deck and the Wilson’s Group Upper Deck Experience – a classic London double-decker bus – saw the HarbourCats explode for a five-run second inning and a 6-2 lead, only to see the Lefties chip away with runs in five of the next six innings to jump in front 8-6. 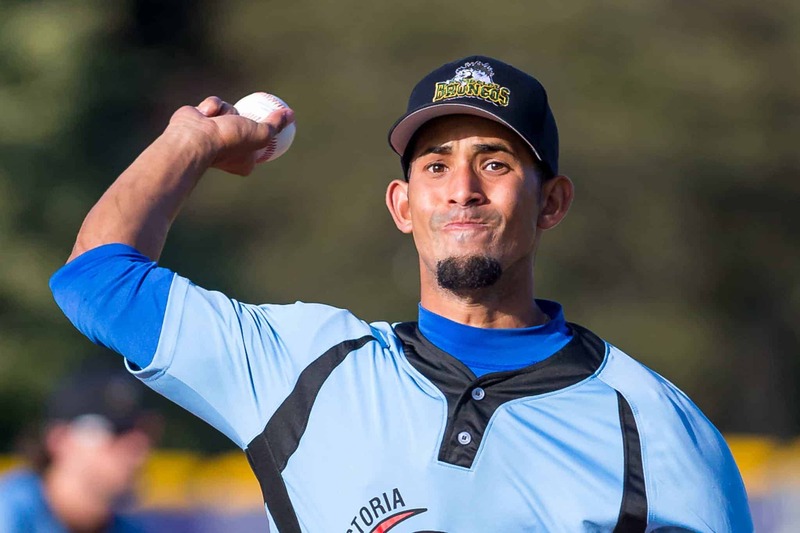 A tough Lefties bullpen, led by DJ Sutorious and his five scoreless innings to finish the game, shut the HarbourCats offence down from that point to give the Lefties the win. 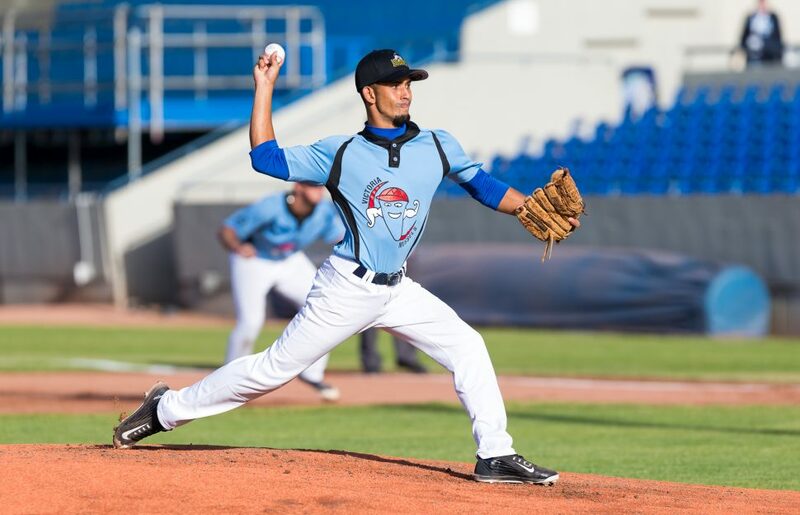 The game made some history, with Cuban Adriel Quesada Pena, the HarbourCats starting pitcher, becoming the first Cuban player to ever suit up in the West Coast League. He was followed two inninngs later by Cuban player number two, as Alejandro Ortega Lopez followed with an inning of relief. Port Angeles’s Baxter Halligan was the offensive hero for the Lefties, with three hits and two runs scored, while Dalton Harum added two hits and an RBI. 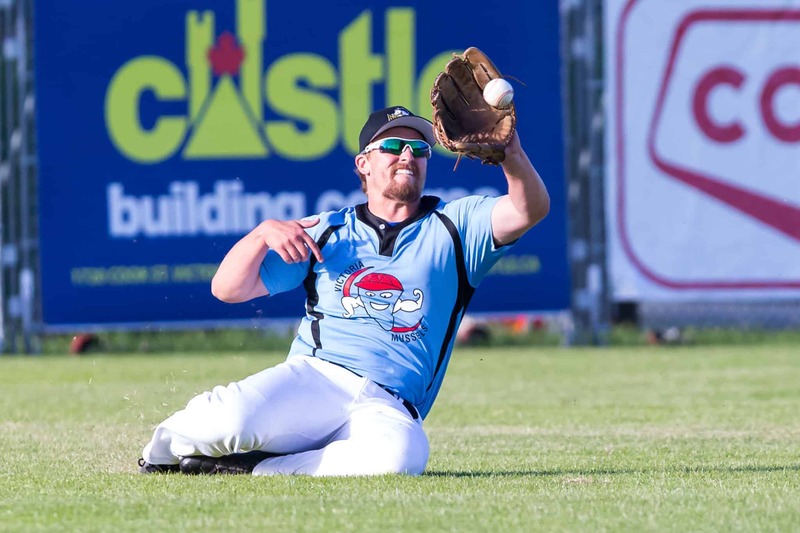 For Victoria, Tanner Haney’s two-RBI double highlighted the five-run second, with five other HarbourCats reaching base via hits on the night. 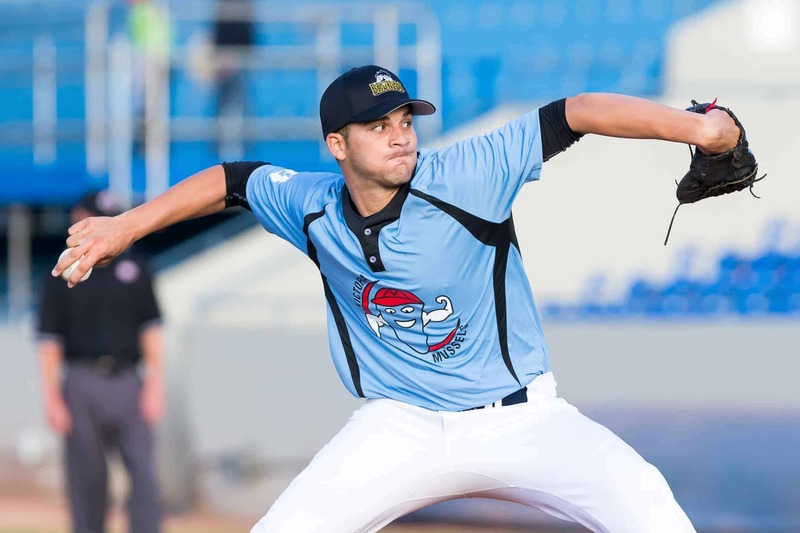 On the mound, Sutoriuos, with his two-hit and six strikeout performance, gets the win, while the HarbourCats Po-Jui Huang takes the loss in relief. The HarbourCats and Lefties will both hop on the ferry Thursday morning and head to Port Angeles where the teams will meet again in the back end of their home-and-home series, with a 6:30 pm start at Civic Field. Victoria then returns to Royal Athletic Park on Friday to begin the WCL regular season against the Wenatchee AppleSox. Friday’s Castle Building Centre opener is at 6:35 pm, followed by Wilson’s Group FIREWORKS night on Saturday. Premium reserved seating and the grandstand for both games are almost sold out so get your tickets today! General admission tickets are still available. 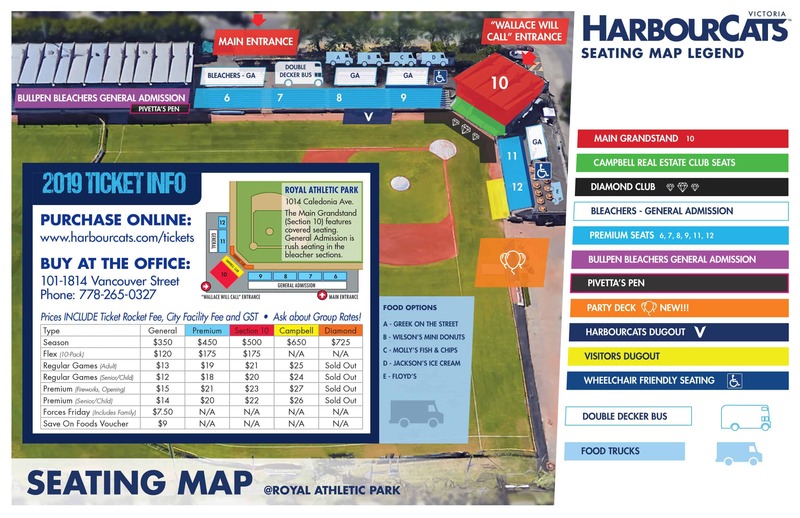 Call the office at 778-265-0327 or order on line and skip the line at harbourcats.ticketrocket.co. The set with Wenatchee closes out on Sunday afternoon at 1:00 PM with plenty of seats in all sections available for the first of six afternoon matinees scheduled for 2018.